Awhile back I was invited to attend a vodka tasting, hosted by EFFEN Vodka, and was located at a swank Hollywood eatery called La Vida. A brief look at EFFEN vodka: Based out of Holland, this smooth spirit was actually designed for the "club scene," thus a younger audience. The rubber non-slip grip is definitely a plus for those busy bartenders around town. In addition, the rubber sleeve helps with the insulation of the vodka. In terms of the taste itself, it goes down smooth and perfect for either a mixed drink or a simple vodka shot at a party. 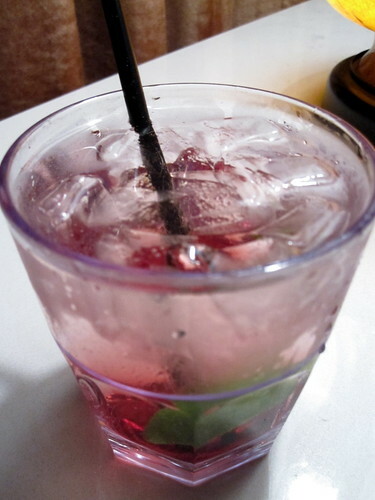 The first drink I tried was one that was made with the EFFEN Black Cherry flavored vodka. 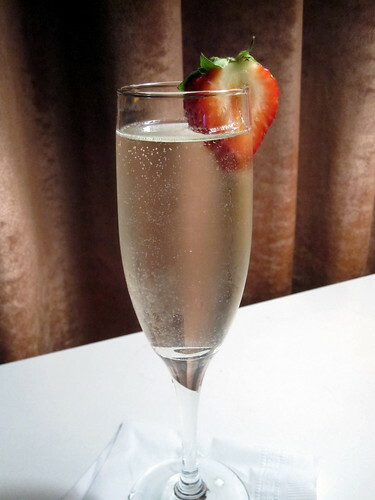 With the addition of the prosecco, it has all the makings of a nice, refreshing summertime drink! Very nice! 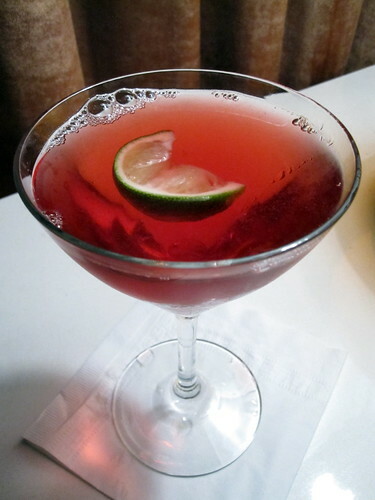 Next up, another drink made with the EFFEN Black Cherry, with a common mixer for vodka, cranberry juice. I enjoyed this one as well, though it was much stronger than the previous drink. 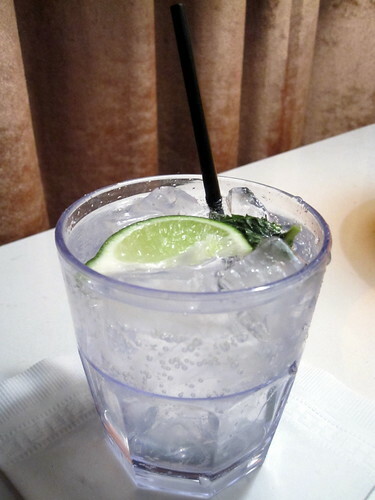 I likened this for a cross of a vodka tonic and a mojito. With these above referenced ingredients, it's hard to mess it up. I have a thing for refreshing drinks! Honestly, I had hoped this particular drink would be shaken, as I don't think it's mixed appropriately. 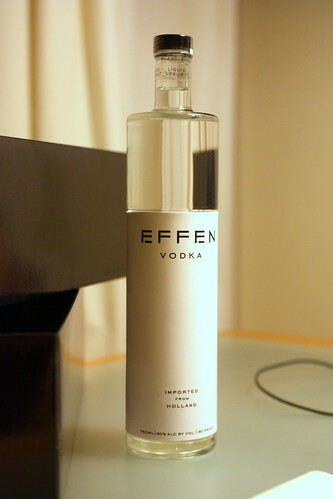 However, the drink had a profound vodka taste, thus, was able to showcase the flavors of EFFEN. All in all, it was a fun night. I was able to try a various cocktails with a EFFEN vodka base. The vodka itself was quite smooth and me being a vodka fan, I was quite impressed. 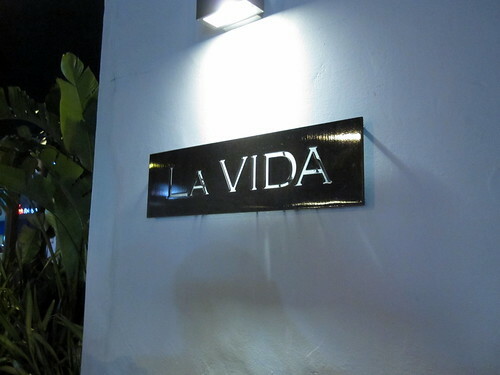 Thanks for hosting a fun event EFFEN and La Vida! I promise I won't be too mean. It's something I had to repeat to myself as I was writing this blog entry. Maybe I just didn't get it? Or did I go on an off night? I mean, for the most part, I usually understand what makes a good ramen. 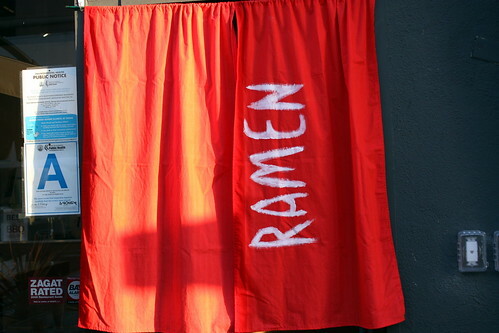 I've visited the legendary Ramen Museum in Yokohama. 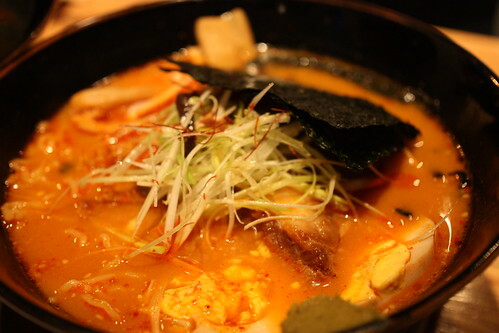 I probably ate ramen at least 2-3 times a week when I lived in the South Bay area of Los Angeles. 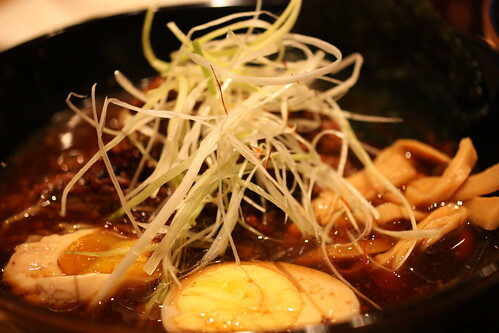 Frankly, it's soupy, meat based with noodles, so what's NOT to like about ramen?? Although I'll never be the ramen connoisseur like my buddy Keizo of GoRamen, I don't think I should ever leave a restaurant feeling I just got PUNK'D! 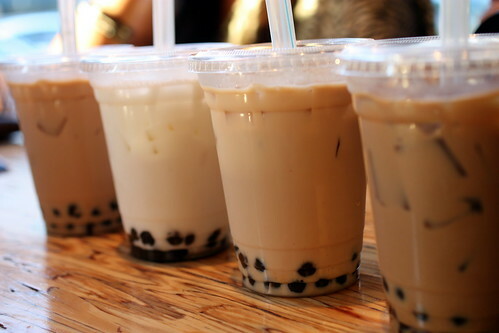 Though the picture may show a quartet of boba drinks, there were only three choices. The boba were good, but it wasn't anything to write home about. I enjoyed the chai, though I'm not sure about the ginger in the coffee boba. Plus, I'm not sure why boba was the cold drink option here as boba is a TAIWANESE based drink. The bread was probably the best thing from dinner. 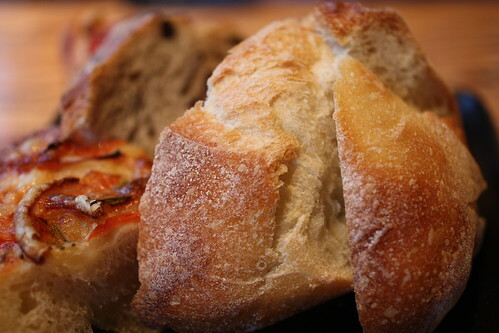 The focaccia I had was delicious! 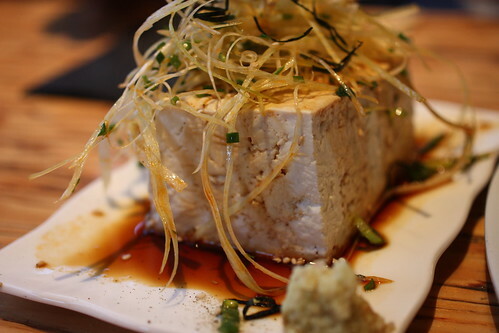 The cold tofu was actually pretty good. Cold, refreshing, though I thought it was served with freshly grated wasabi, but instead, it was grated ginger. Not memorable, but a nice starter nevertheless. The flavors are there. The soup broth was spicy. Sadly, that's pretty much it. Although it was probably my favorite ramen of the night, it's not saying much. It's like me stating Adam Morrison is my favorite Laker because he doesn't play. I'll be nice and first state the amount of oxtail given was ample, so I was surprised with that part. The egg in the ramen was delicious as well. Now, to the bad. The soup base was too sweet, way too sweet in my opinion. 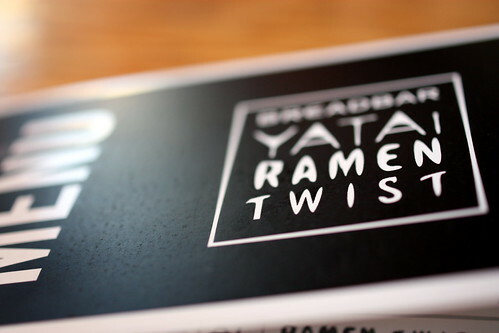 This ramen had so much potential, but it fell flat on its face. 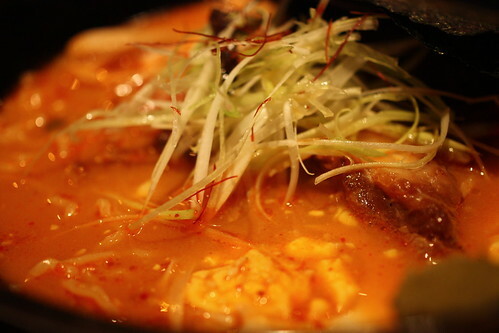 The soup broth is the most important part of the ramen, and it was F-ed up. Sweet broth, no thanks! I think I just got PUNK'D! $18 for this? 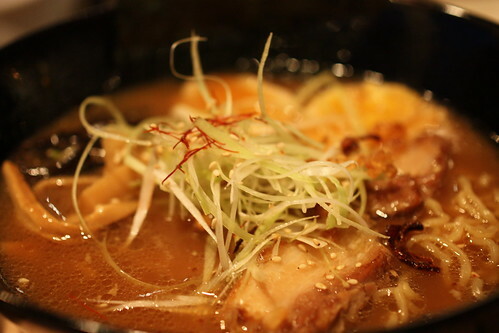 Pretty much what you see here is a small piece of foie gras on top of some fairly pedestrian ramen. A true WTF did I just pay for kinda moment.....safe to say, I didn't care for this one. This was the only ramen we ordered off the "Non-Twist" portion of the menu. 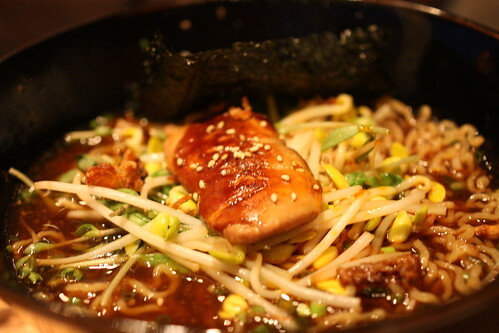 While I liked the shoyu, it was pretty standard compared to other shoyu ramen found around Los Angeles. 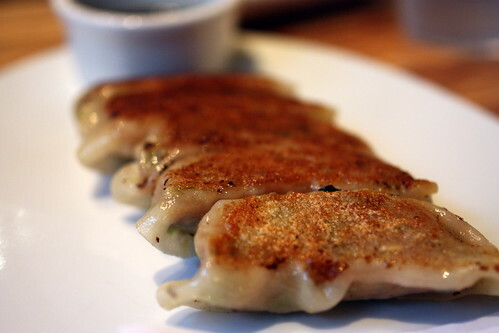 While tasty, it wasn't anything worth discussing. 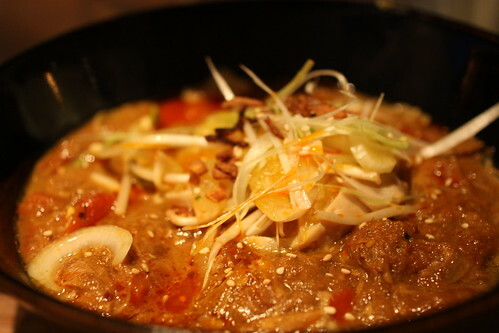 A ramen that wasn't on the menu in the previous weeks of the Yatai Ramen Twist, was the pork curry ramen. I actually thought it was a pretty enjoyable bowl of ramen, and probably ranked similar to the spicy miso ramen I mentioned earlier. Though Japanese curry is probably one of my favorite things to eat as well as cook, so it's probably no surprise that I enjoyed this bowl of noodles. There, I'll be nice on one dish! At the end of the day, while this whole pop-up venture may work for some cuisines, the Yatai Ramen Twist was a total "meh" in my mind. Though there were a few bowls of noodles that I thought was pretty good, it just wasn't worth the money I paid for at the end of the meal. The service was fine, though we did wait a LONG time for our ramen noodles. For awhile there, I thought we were getting our ramen shipped from Japan. Frankly, I should have known to stay away from ramen in West Hollywood, so I won't make the same mistake a second time. If you want a delicious and cheap bowl of ramen, stick with Santouka and Hakata Shin Sen Gumi, as those two places have never done me wrong. 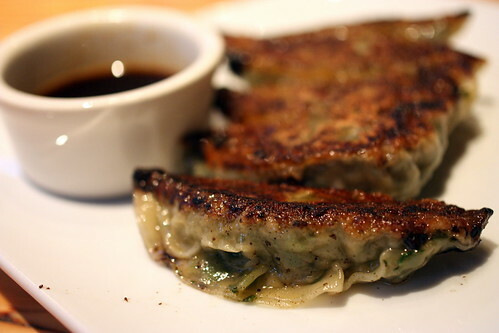 I could probably have avoided writing this post all together, but since the Yatai Ramen Twist will be going on through 7/24, hopefully I can save one person from trying this place out and experience ramen at a better place. It always pains me to have a bad meal, especially one that's overpriced as well. When I was young, I was taught "If you have nothing good to say, you shouldn't say anything at all," but I'll stray this time and proclaim, avoid Yatai Ramen Twist! Oh ya, one more thing. If you're looking for a hot bowl of noodle ramen, I think you're at the wrong place also. Even though our group did take pictures, the soup broth was lukewarm at best. I doubt the time we used to take pictures caused that issue. Lukewarm ramen broth = FAIL!